It’s always great when God replaces something painful with something wonderful. Or when He provides for a need in a context of desperation. But what about when God takes away something we enjoy—or even something we need? Or when He allows something bad to invade something good? Can we then say what Job said? During the times when God takes something away from you, it’s easy to feel duped, as if God was some kind of pusher, giving free samples and then removing them after the cravings have their hooks in your heart. The Lord’s generosity can be misunderstood as cruelty. Rather than praise God for the time we enjoyed His blessings—we tend to resent His sovereign prerogative to confiscate them. Here’s some perspective that can help when God takes something away from you that was a blessing. During the times of removal we discover, sadly, that Satan’s accusation is often right on the money: “Does Job fear God for nothing?” (Job 1:9). Honestly, I’d really hate to find out. What do our raw emotions reveal about our hearts when God takes away something wonderful? When the Lord gives and then takes away it can betray an inordinate affection for the gift rather than for the Giver. The reaction after the removal could reveal that we view God as One who merely dispenses blessings rather than One who has as His primary concern ourr holiness. If we find ourselves constantly waiting on God to bring us into a season of blessing again (heaven notwithstanding), it may be that the initial blessing only came to reveal how addicted to blessings we have become. There is a huge difference between waiting on God’s blessings and waiting on God. We may feel it’s the same, but it isn’t. Copyright © 2013 Wayne Stiles | Connecting the Bible and its Lands to Life. All rights reserved. 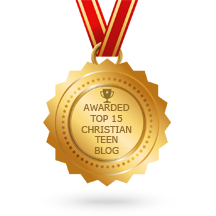 This entry was posted in A CLICK A BLESSING TODAY, BIBLE LANDS, CHRISTIAN FOUNDATIONS OF BELIEF, CHRISTIAN LIFE AND THE WORD, CHRISTIAN TAGALOG BLOGS, CHRISTIAN TEENS BLOGS and tagged Naked I came, naked I leave, something bad, something good, Wayne Stiles, Who'd takes away. Bookmark the permalink. I wrote about this topic recently, it is a big part of our faith walk. We must hold all of life’s blessings resting on a open hand. God’s loving ways may not always be understood, but we can trust that “Our God is For us!” Thank you for sharing this post. I have found that when He takes away something good, He replaces it with something better, and when He takes away something better, He replaces it with the BEST. I am filled with regret when He takes something which is a blessing that I have taken for granted, and failed to recognise till it was gone. I have learned to be more appreciative of blessings big and small. There is no loss in time when He lifts a burden or frees me from a trial or persecution.Oh yes whom the Son sets free is free indeed.